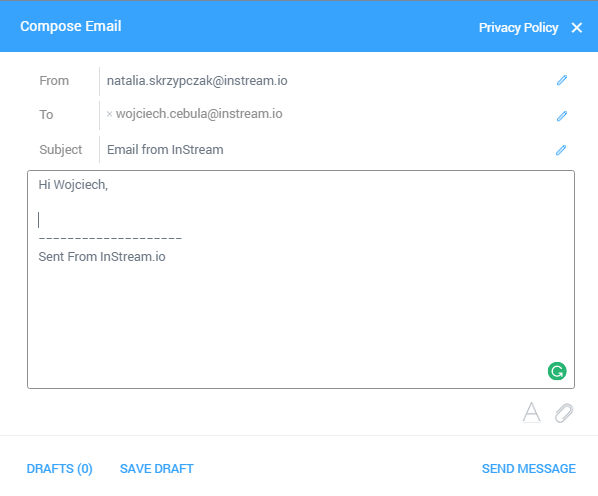 You can automatically send your emails from InStream. To be able to do that you need to integrate our system with your mailbox. 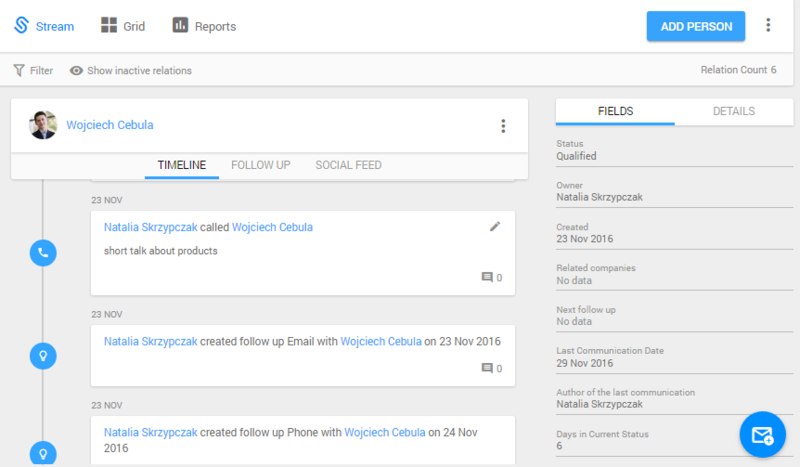 Click on the right relations list and choose the contact to which you want to send an email. Next, write an email and click on the “Send Message” button. Sent email will appear on your timeline.